1000 days to the 2012 Paralympic Games. 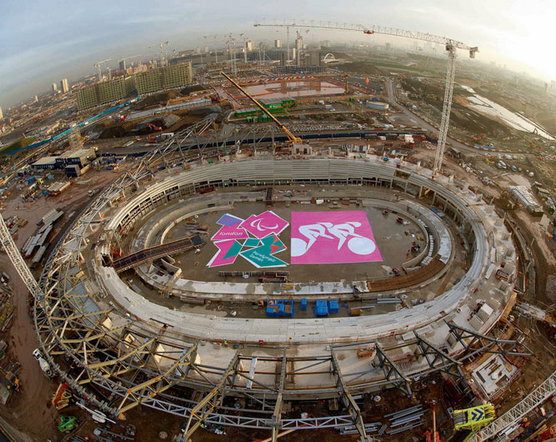 The photograph shows progress on the velodrome and the launch of the Paralympic pictograms - icons representing each Paralympic sport featuring in the London 2012 programme. To view this story please visit the London2012 website.